Cable trays, handrails, brackets, staircases, ladders, machines, window panels, base plates, scaffoldings and frameworks. 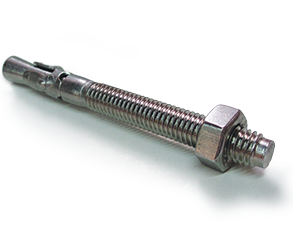 Suitable for all screws or threaded bolts with metric thread. Low energy impact, power-saving assembly. Inside threaded anchor, allows great flexibility. 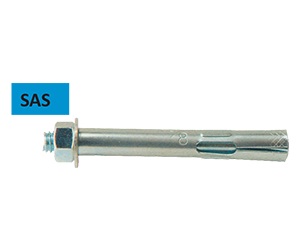 Can use variable lengths and art of threaded rods or bolts. Small edge distance and small distance between anchors. 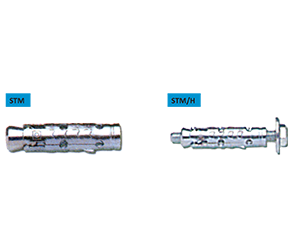 Provide uniform load by tightening the screw or hexagon nut, the cone pulls into the expansion anchor and tightens against the drilled hole. Suitable for use in concrete and natural stone. Stainless steel [ SS 304 (A2), SS 316 (A4) ]. Pipes, ventilation ducts, suspended ceilings, sprinkler systems, brackets, threaded rods, cable trays. 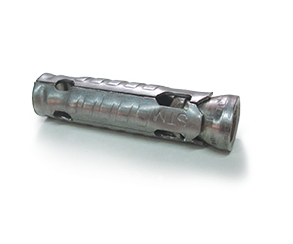 Provides permanently fixed threaded socket in concrete. Use in non-cracked concrete or cracked concrete and natural stone. 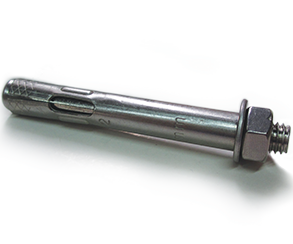 The anchor will spread and tighten against the drilled hole after inserting with setting tool. Low setting depth, reduced drilling time. Uni-channel ,railings, steel constructions , machines, high-racks, cable support systems and mechanical fixations. Optimum performance in most base material types. No protruding threads after installation. Small distance between anchors and from edge. Effective force distribution in the drilled hole. 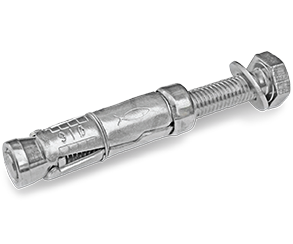 Sleeve anchor with hexagon screw or with threaded bolt. Uni - channel, hand rails, steel construction, Cable Trays, supports, brackets, ducts and shelf feet. 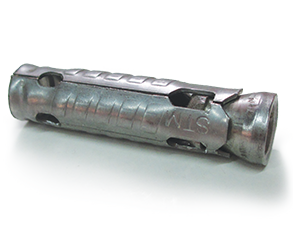 Suitable for use in cracked concrete or in non-cracked concrete and in natural stone. 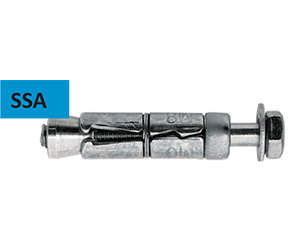 Special design of the clip in stainless steel which ensures a safe hold in the hole. User friendly, face fixing or through fixing. For fixing: steel constructions, handrails, consoles, brackets, ladders, gates and spacing designs. Assembly detachable, multiple removing and fixing. Variable length and art of threaded rods or bolts. By tightening the screw, the cone pulls into the sleeve and tense against the drill hole. Small edge distance and small distance between anchor. Expansion elements are held together by a spring. Optimum taper nut angle for maximum expansion. 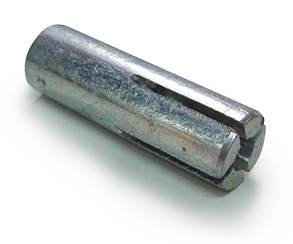 Pressed steel segment ensures consistent dimensional accuracy. 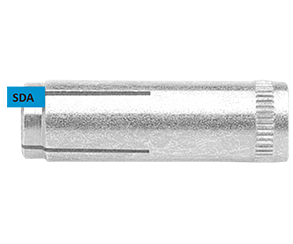 Provide a projecting stud to support fixture during installation and removal. Suitable for use in concrete, natural stone, brick and sand stone.